Homepage > Maca Root: Benefits Fertility, Stamina, Depression, Menstruation, Osteoporosis, and Libido. 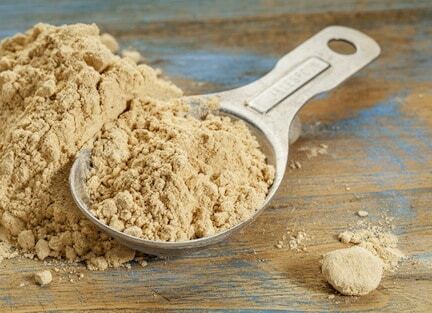 Maca Root: Benefits Fertility, Stamina, Depression, Menstruation, Osteoporosis, and Libido. I LOVE Maca Root! I first tried Maca Root two years ago and it changed my life. Then again a lot of supplements and herbs change my life but altogether this magnificent Maca Root is the bomb! The reason I first tried Maca Root also called Lepidium meyenii walp is because I read that it helped with regulating your menstrual cycle, helped with skin issues, and gave you energy. My cycle has never been abnormal so I can’t tell you much on that aspect but I can tell you that my mood was more even-keeled during it. Also, my skin slowly started to improve while taking it. I have always suffered from dry skin and acne so drinking some Maca tea in the morning really helps with my skin and having loads of energy throughout the day. I can definetly note that Maca has always giving me so much energy! I would suggest if your sensitive to caffeine like myself but you want an energy boost without a crash definitely try some Maca tea! It’s glorious! Alrighty, so now I have explained my little personal story on how much I adore my magnificent Maca Root so now I will share the history and some more benefits of Maca Root. Red, black, and yellow maca root.